Canine Companions has had a highly selective breeding program for over 40 years. Even so, not every dog will meet the high standards required of a Canine Companions assistance dog. 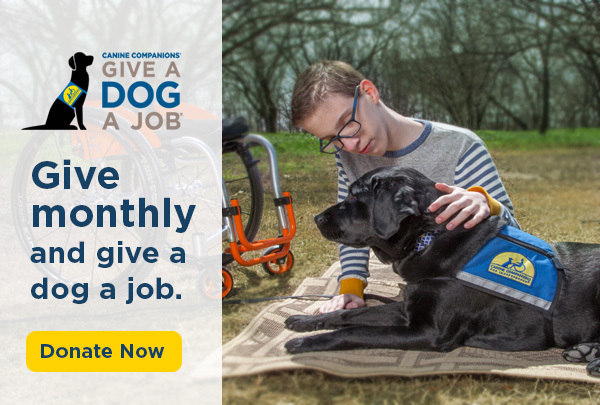 This brought us to ask: What predicts whether a dog will make it through the Canine Companions program? Over the last five years, we have collaborated with Dr. Evan MacLean of University of Arizona and Dr. Brian Hare of Duke University to assess whether canine cognitive characteristics (such as following social cues, problem solving abilities and temperament) can help predict training success. Researchers initially tested 200 dogs in professional training and later linked this data to systematic differences between the dogs that graduated and those released from the program. Subsequently, Dr. MacLean and Dr. Hare developed a shorter test, which only tested items linked to success in the first phase of the study. Over 200 more dogs were tested with the shorter version of the test. Again, the test identified differences in the successful dogs compared to the dogs that were released. Taking this research to the next level, we have launched another collaborative project to assess whether these characteristics can be identified early in a dog’s life and if there is a genetic basis. Researchers are evaluating 9 to 10-week-old puppies in a puppy version of the adult cognitive test. Those same dogs will be re-evaluated when they enter professional training with the adult test. 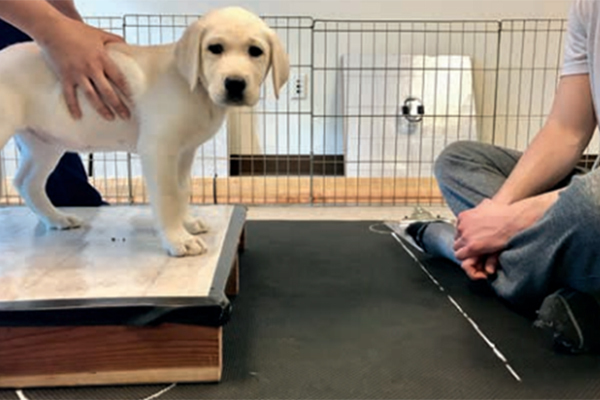 Collaboratively, we hope to determine whether a puppy’s results can help to predict adult temperament and a dog’s likelihood of success in our program. In addition, the researchers will examine Canine Companions’ pedigrees to determine whether any of these traits have a genetic basis. If so, this information may be used in breeding selections to optimize the best chances of success for our dogs. Ultimately, we hope that this science will help continue to inform our decisions on breeding and training the next generation of Canine Companions assistance dogs.